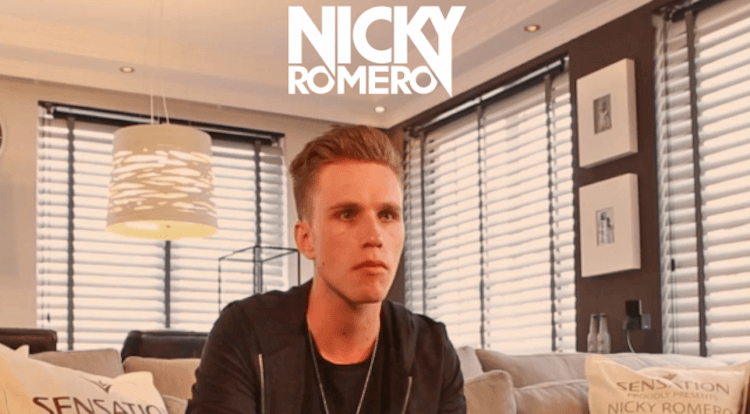 You will find a video of the 25 year old DJ in his home on the promotional website www.callnickyromero.com. After entering your phone number he will pick up the phone and call you. Over the phone Nicky asks you personally to vote for him during the upcoming DJ Mag Top 100 election. The entire experience is a perfectly synced web video and audio phone call. Amazed? You should be! “We had to produce this project on a very short time notice”, says Jerry Lieveld, chief creative and founder of DARE TO DIFR. “Protocol Management had the idea to globally activate the fans and we were asked to provide UI/UX design and do the technical implementation”. In 2012 Nicky Romero was the highest new entrant on the DJ Magazine Top 100 DJ’s list. His success as professional DJ / Producer hasn’t remained unnoticed since, as in 2013 he managed to rise from 17 to 7 in the voting. This year he is determined to storm to the top of the list, using the technology from CM he can easily reach and mobilize his fans. Voting is possible until September 15th. The awards ceremony will take place during the Amsterdam Music Festival, on October 18th, 2014. See our Voice-page for more information or get in contact with our specialists.